The superintendent of schools in Wellesley, Mass., has apologized to parents after learning a handful of middle schoolers participated in a Muslim prayer during a field trip last spring. 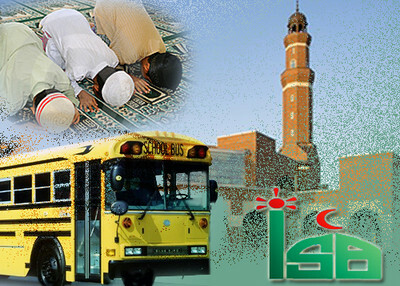 The field trip took the kids to the Islamic Society of Boston (ISB) mosque, a controversial center given its ownership by the Muslim American Society and questionable activities surrounding its construction. A videotape showing the prayer session, with five boys kneeling along with Muslim worshippers, was published late Wednesday by Charles Jacobs, president of Americans for Peace and Tolerance and a longtime ISB nemesis. Jacobs received the tape from a parent who chaperoned the field trip but who is remaining anonymous. Parents were told the trip was designed to teach students about Islamic architecture and "to give the kids an authentic experience inside the mosque by observing Islamic religion first hand." The chaperone who videotaped the prayer felt some of the program treaded too closely to proselytizing. The tape doesn't make clear what was said in inviting the kids to join in. "I don't think it was meant to be a solicitous action," Superintendent Bella Wong said Thursday afternoon. Roughly 200 children were on the field trip and only five joined in, she said. No complaints came in to her office after the field trip, not even from the chaperone who took the video. "The purpose of the field trip was for students to visit and observe a place of worship. It was not the intent for students to be able to participate in any of the religious practices. The fact that any students were allowed to do so in this case was in error. I extend my sincere apologies for the error that occurred and regret the offense it may have caused. In the future, teachers will provide more clear guidance to students to better define what is allowed to fulfill the purpose of observation." Abdurrahman Alamoudi, once one of the nation's most prominent Muslims political leaders, co-founded the ISB. Alamoudi pled guilty in 2004 to charges related to illegal dealings with Libya and a plot to assassinate a Saudi monarch. And Yusuf al-Qaradawi, spiritual leader of the Muslim Brotherhood, was listed for years as an ISB trustee. The Brotherhood seeks the spread of Islamic law throughout the world. And while Qaradawi is considered a moderate by some, he has issued fatwas justifying attacks on American troops in Iraq and defended Palestinian suicide bombings. The Muslim American Society, which runs the ISB, was created by Muslim Brotherhood members in the United States. It has a long history of defending alleged terrorists, their financiers, and of espousing radical rhetoric. When the mosque's construction attracted critical media scrutiny in 2005, the ISB sued Boston media outlets, Jacobs, Investigative Project on Terrorism Executive Director Steven Emerson and others claiming defamation. That suit was dropped, however, after a number of its allegations were disproved. When prayer time came during the field trip, the girls were led off to a separate area. Video shows boys bowing and kneeling alongside worshipers. According to the parent, teacher and other chaperones sat idly as it happened. Jacobs dismissed Wong's letter to parents as "totally inadequate," saying that even a cursory Internet search would have provided school officials with the mosque's troubling background. And, he said, the presentation misrepresented the treatment of women and gave a sanitized definition of jihad, omitting any reference to violence. "Bella Wong has to have an assembly and teach the children about that," he said. the school district should be sued and Bella Wong should be place on unpaid leave until the matter is settled.